Add iOS, Android and Mobile Web Apps to increase sponsorship dollars. Up to date event information at their fingertips. 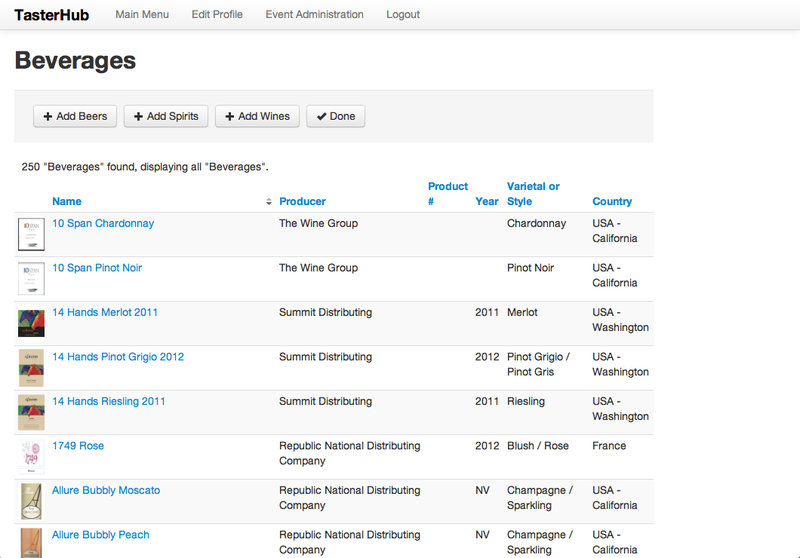 One button capture of their favorite Wines and Exhibitors. Capture information for your suppliers and other exhibitors in our web based portal. Last minute table changes? No problem. With US smartphone adoption above 80%, the time for mobile is now. We support iOS and Android with native apps that leverage the capabilities of today's advanced devices such as location data, and QR code scanning. We also support Windows Phone and Blackberry via mobile web. Adding a mobile dimension to your event can better connect your attendees to your Sponsors and Charitable causes and land additional sponsorship dollars via App Banner Ads and Partner Liquor Stores. Drive ticket sales for next year via user notifications and a direct link to your ticket portal. Suppliers, Distributors and Restaurants will love that festival attendees will remember their favorites, and can order them right from the app. We'll even remind attendees after the event to order the items they've starred. One tap scanning lets users effortlessly capture their favorite wines without having to juggle a pen and paper. They also can access event maps, schedules, and detailed information about benefiting charities, wines,restaurants and of course, your sponsors. Most event pamphlets end up in the trash at the end of the day, or disappear directly into a pocket or purse. Not only will going paperless save some trees, it could also save thousands in printing costs. Your annual event can also benefit from a souvenir the user is more likely to retain: an app. Our online solution TasterHub lets your exhibitors log in and add their products and organization information. We'll even remind them if they lapse past your submission deadline. Enhance their experience and keep them coming back next year! Our apps offer event navigation, tasting notes, schedule reminders, and of course, a convenient place for users to capture what they like.